Like most machines, chances are that you most likely have taken it for granted. I am, of course, speaking of the HVAC unit: the mysterious yet familiar system that runs the central cooling and heating in your home. 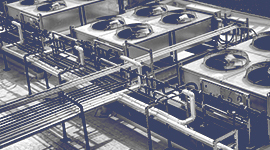 Thanks to the advancement of modern technology, we have largely become disconnected and unaware of the inner workings that shroud the HVAC system and have learned to assume that it is in working order at any given point. One winter morning or blistery summer day without central air, however, is a nightmare we wouldn’t wish upon anyone. To prevent such situations, we’ve compiled a list of nine signs to look out for when determining whether you might be in need of HVAC repair services. One general rule of thumb that we recommend following in this case (and for life in general) is that it is always easier to correct a problem when it is caught in its early stages. By noticing the below signs, you will not only be able to get to know an oft-overlooked machine but also save potentially hundreds or even thousands of dollars and massive amounts of time and energy. We all want to go about our lives and assume that our house and the appliances that run it are always in working order, but this guide will show you how to listen to what your HVAC unit needs so you can conduct HVAC maintenance without losing your peace of mind (at least to an extent). Keep reading to learn some potentially surprising signs that you need a new HVAC unit. Your HVAC unit is specifically designed to regulate the temperature in your home, whether it is a mid-summer day in Houston or a cool desert night. Ultimately, your unit helps keep you and your family comfortable in any climate. If you happen to notice a consistent period of time in which the temperature in your home feels uncharacteristically warm or cool depending on your desired indoor climate, then it might be time to call your local HVAC repair service so a professional technician can take a look at your unit and determine whether a repair or replacement might be needed. Speaking of disappointing indoor climates, this sign is a slight variation which involves little to no air flow throughout the house. HVAC units that produce a weak air flow that cannot properly circulate from the air vents in your home. This is a problem with weak air flow. This is often a sign that the HVAC compressor is failing, but it can also indicate issues with your ducts. In any case, there’s a bit of uncertainty to unpack with this particular symptom, so we highly recommend contacting your HVAC professional so that this problem does not fester into a larger issue with your unit. The thermostat is technically the “brain” of your HVAC unit because it controls much of the temperature regulation that happens in your home. It also “takes measurements” of the temperature and relative humidity (some units are equipped with humidity regulation too) to ensure that there are no discrepancies between the programmed setting and the actual indoor climate conditions. If you find that your thermostat behaves erratically or is completely unresponsive when it comes to gauging the temperature and humidity of your home, this may indicate that your thermostat is experiencing internal issues that need to be addressed in order for your HVAC unit is back in working order since it relies on your thermostat to perform its function properly. You’ll want a trained HVAC tech to look at this, since there are complex electrical components involved with the thermostat. If you’re hearing squealing, grinding, or scraping coming from your HVAC unit when it’s on, there could be a problem inside the unit with a belt slipping out of place. This is a serious issue that merits an immediate call to a local expert because loose pieces can damage other, costly parts as well. 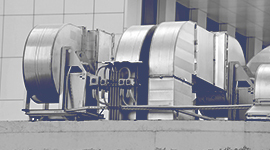 Your HVAC unit is designed to run smoothly, integrating its functions seamlessly into your daily life. It certainly is not meant to emit strange smells, so if this is happening for more than 24 hours at a time, this could be a cause for concern. A pungent smell in this situation normally indicates that the wire insulation inside the unit has burned out, while a musty smell probably means there’s mold somewhere in the unit or even the ductwork. This is something you need a professional to diagnose as early as possible because it can pose a respiratory hazard for you and your loved ones. Keep in mind that an isolated incident involving your HVAC unit, whether it’s an occasional knocking noise or slightly burnt smell (this can happen if you turn your unit on after a long period of inactivity). However, if you have had to call your HVAC professional more than three or four times in the past couple of months, there is a sign that your unit is experiencing deeper issues and might need to be replaced entirely. HVAC repair services only come in handy for so long, but to really save time and hundreds of dollars in repair costs, it might be a more efficient decision to ditch your unit altogether for a new one. This winter, if you notice regular patterns of any kind in your unit, we recommended writing them down so you can present them to your trusted HVAC service person. This symptom specifically deals with the cooling portion of your HVAC unit. As we mentioned in a previous symptom, your air conditioner (and sometimes the unit as a whole) is designed to regulate the humidity in your house. If you find that the humidity in your home is much higher than anticipated, it might be time to repair or replace your unit, depending on the advice of your HVAC professional. In Northern Texas, our services are especially knowledgeable with cooling as well as heating Part of the air conditioner’s job is to reduce the humidity in your house. A power bill that suddenly shoots up without a corresponding bump in how often you are running your air conditioner is another strong indicator that your system is in need of repair or replacement. There are multiple causes for this particular issue, including leaks in the ductwork, a broken thermostat switch, or advanced age in the unit. Regardless of the source of the trouble, call your local technician as soon as possible so you can avoid paying through-the-roof costs on your utility bill. 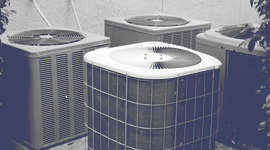 Simply put, if your HVAC has recently turned ten or is even older, it is time to shop around for a new unit. Your HVAC repair person will know which brands and models that are most compatible for the type of home you own, especially if you had a specialized unit. These nine signs are helpful reminders of how to spot problems quickly and will give your wallet a break and give you the peace of mind you deserve. Indoor temperatures above 75 aren’t natural during the summer in Texas; it takes properly functioning mechanics to keep your home in the comfort zone. 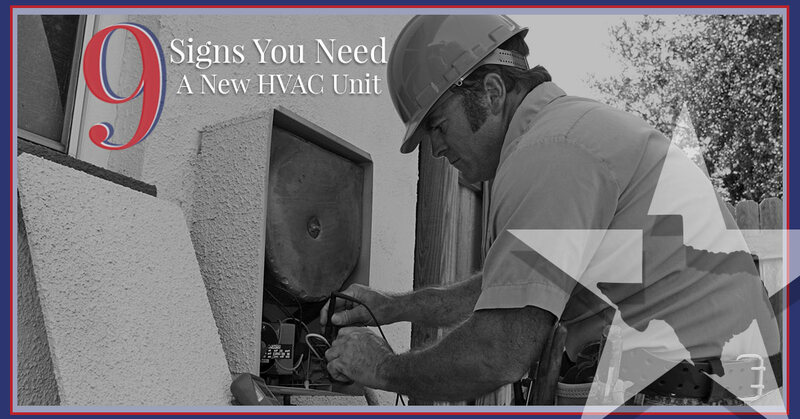 If you do notice any of the signs above, be sure to contact your trusted HVAC repair technician today. Have you noticed any of the signs above? 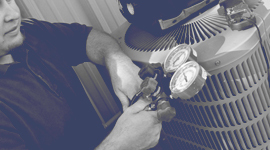 Call the trained professionals at Moore Texas Mechanical Services today for a comprehensive consultation.